The Irrawaddy River runs through what is now known as Myanmar (formerly Burma). It flows through jungles and past cities providing livelihoods for thousands of people who dwell along its banks. The very heart of the country, the Irrawaddy River is the perfect place for travellers to get an authentic taste of Myanmar. What better way to experience this powerful, captivating river than on a luxury cruise? 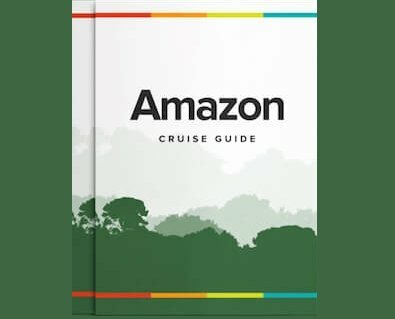 If your interest has been piqued then read on to learn all about the wonderful cruises Rainforest Cruises has to offer. This luxurious, colonial-style boat is the stuff of cruise holiday dreams. Offering deluxe cabins, decked out with a whole host of mod-cons, and gourmet meals, this boat leaves very little to be desired. The itinerary covers a range of different places, from the bustling city of Mandalay to the tiny village of Salay and everything else in between. Good things come in small packages and this cruise ship is the perfect proof of this saying. This quaint ship provides its passengers with spacious rooms and tastefully decorated common areas as well as an observation deck, from which you can admire the scenery. Although compact, the boat in no way feels crowded but instead has an intimacy that is both comfortable and reassuring. There is no such thing as over-doing it when it comes to luxurious Irrawaddy cruises and the Sanctuary Ananda is well aware of this. Passengers are treated like royalty from the moment they step on the boat right through until the end of the journey. The schedule for this cruise includes plenty of visits to temples, monasteries and pagodas so you’ll be sure never to have a dull moment. Nothing says luxury like a rooftop pool on a beautiful Burmese riverboat. The Strand is the perfect vessel for those who like the finer things in life. Whether you’re sipping a cocktail on the deck or indulging in some pampering at the spa, comfort is always the name of the game. Cruise itineraries take passengers from Mandalay to Bagan or Bagan to Mandalay with a number of exciting stops along the way. The lavish Road to Mandalay cruise liner comes complete with an observation deck, an open-air pool, and an opulent dining room among other things. It allows its passengers to experience the Irrawaddy River and all it has to offer in a setting of comfort and beauty. Highlights of the journey include the chance to explore the historical sites of Mingun and a tour of Bagan’s iconic temples. The décor of the Anawrahta perfectly encapsulates the exoticism of Myanmar. With splashes of colours and oriental patterns on rich fabrics, the interior design alone is enough to captivate passengers. Yet, that’s not all this boat has to offer. The ship has been lauded for its excellent staff to guest ratio (1:1) and provides a range of services, including a spa and yoga classes. What better way to experience the wonders of the Irrawaddy River than from the lavish deck of the Anawrahta? Glistening white walls and panoramic windows enclose the fabulous Orcaella cruise ship as it plies through the muddy waters of the Irrawaddy River. On the inside, fragrant smells escape the kitchen and waft through the boat’s stunning interior. This is luxury at its finest. Your journey on the Orcaella will take you past pagodas in Monywa, markets in Kalay, and rice paddies in Sitthaung. You journey upon the Paukan 2007 is one that you won’t forget in a hurry. The boat is kitted out with everything you need for a luxurious cruise and it sails through many of Myanmar’s most fascinating areas. Stops along the way include the mysterious temples of Bagan; the gorgeous colonial town of Katha; and one of the Irrawaddy River’s most breath-taking gorges. Originally built in 1947 and then completely renovated in 2003, the Paukan 1947 is a historical relic in its own right. Despite its recent refurbishment, the boat maintains much of its post-war style and charm. It offers its passengers spacious, bright cabins and gourmet cuisine as well as an attentive army of crew members. As it makes its way along the Irrawaddy River, guests will have the chance to see many of Myanmar’s finest sights. This breakdown is just a taster of what each of our Myanmar cruise ships could offer you. For more information about booking an Irrawaddy River Cruise in 2018, please contact us or call 1-888-215-3555.